No one really wants to be in debt. It can be a source of worry and drags your finances down. But for many people, student debt is an inevitable part of going to college. In fact, in the US there are 44 million borrowers who collectively owe $1.5 trillion in student debt. So if you still have student debt, you are not alone. But rather than feeling stressed about your student debt, why not try and get rid of it? Does that sound too simple? Well, it’s unlikely you will be able to make your student debt disappear overnight, but there are things you can do to pay it off quicker. Find out more by reading these five ways to pay off student loans early. Having student debt is not the end of the world. Lots of people are in the same boat. But it can hold you back when you just want to get on in life. For example, having student debt can prevent you from buying your own home. So it is a good idea to try and get rid of that debt as fast as you can, and the most straightforward way to do that is to pay more. Not everyone will be in a position to make more than the minimum payments on their loan. But if you are in a position where you can pay a bit more, you should. The greater the repayment amount, the quicker that loan will disappear. Sometimes cash flow isn’t always that predictable. You can have months where it feels like all you do is pay out, and then sometimes you are much more comfortable. If you find yourself with a bit extra left over at the end of the month, why not make an extra payment on your loan? It might not seem like the most exciting way to spend your money, but it will help you become debt-free earlier. 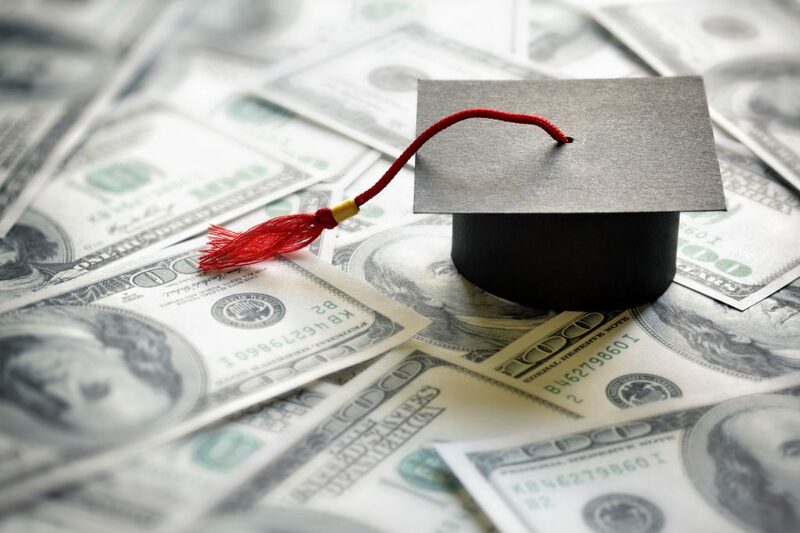 Another way to help you pay off student loans quicker is to refinance them. Refinancing allows you to combine your federal and private student loans into one single loan, usually with lower interest. You can check how refinancing might be able to help you by using an online student loan refinancing calculator. If you are struggling to increase the level of your loan repayments or to make extra payments, you might want to consider increasing your income. Even if you already have a job, there are ways you can increase your income, which will allow you to pay off your debts quicker. There are plenty of online jobs that allow for flexible working and can give your income a welcome boost. If you are finding it difficult to make the repayments on your loan, you might be able to renegotiate it. Many student loan lenders will renegotiate the terms of your loan so it suits your income and budget. However, if you are struggling with repayments you may be eligible for student loan forgiveness, which discharges the debt completely. So those are five ways to pay off student loans early. If you can pay more, you should pay more. But make sure you explore all options available to you including renegotiating and refinancing. If you found this helpful and would like more debt advice, check out some of our other articles right here.